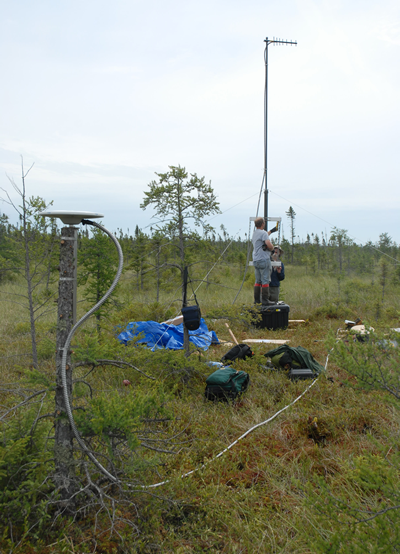 Ten years ago, University of Minnesota's Paul Glaser headed up a pilot study of peatland methane release using three CGPS stations. The study showed that methane was released in events occurring over several hours which deformed the bog surface by tens of centimeters. 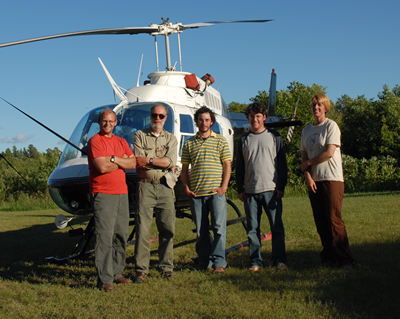 In July and August of 2007, UNAVCO again supported this project-this time with the installation of 9 CGPS sites in the Red Lakes peatland area of northern Minnesota. The network spans a distance of only several kilometers. A base station was installed about 12 km away. An unusual but effective application, the GPS antennas are installed on spruce and tamarack trees which are lopped off at a height of about 5 feet. The enclosures are placed on boards to help keep them afloat on the bog material in the wet season. The group also installed a number of hydrologic instruments. The group will use this host of measurements to model degassing of the bog and to better quantify the methane contribution by bogs to the atmosphere. Each GPS site is powered by four 100 amphr batteries and two 75 watt solar panels. Data are telemetered via radio modem to a master and transmitted to UNAVCO for archiving. Figure 1 - GPS antenna clamped to a tree in the bog. The tree's root system allows it to be stable in the bog, while still moving with the bog surface. Figure 2 - The July installation crew: Joshua Rhodes, University of Maine; Paul Glaser, PI, University of Minnesota; Andrew Parsekian, Rutgers University; Jay Nolan, Rutgers University; Beth Bartel, UNAVCO. 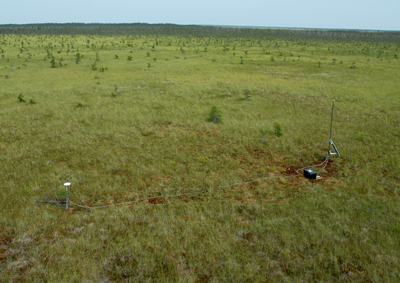 Figure 3 - An aerial view of a typical peatlands/bog installation.